Family travel made simple. Make it fun, make it easy, make it smart with the Love Taza 2-in-1 Backpack Tote. 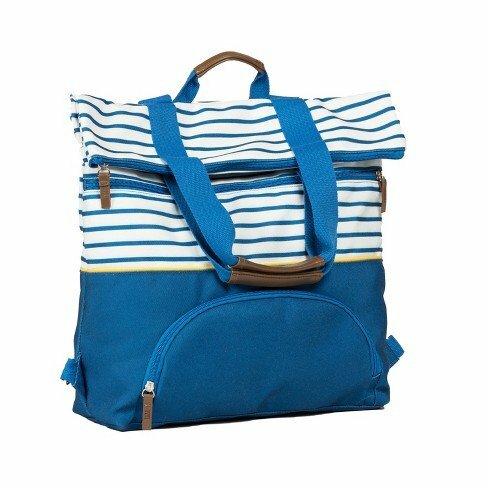 This 2-in-1 bag conveniently converts from a backpack to a tote bag with tuck-away straps in a discreet top pocket. With an interior padded tablet sleeve, an exterior back pocket perfect for stashing passports and credit cards, and an easy access middle zipper to quickly get to your camera or book, this bag makes traveling easy. Pairs perfectly with the Love Taza Camera Insert Packing Cube. Easy Access Middle Zipper to Quickly Get to Your Camera, Books, etc. Bag Measures 19" x 14.5" x 4.75"